It’s easy lifting heavy loads with Teece Crane Hire. • Franna 15T Terex Non Slewing Mobile Crane available on wet hire. • Franna 20T Terex Non Slewing Mobile Crane offered on wet hire. 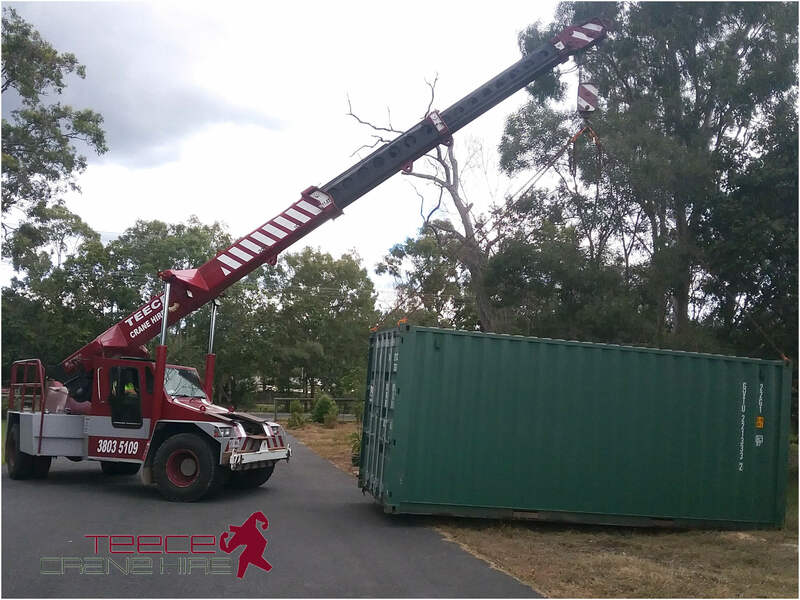 Teece Crane Hire provides the most reliable and cost-effective solutions on the crane rental market in Brisbane to Gold Coast, Sunshine Coast, Ipswich, Toowoomba, Logan, Park Ridge, and Waterford. Our extensive industry experience and modern equipment are a first-class combination to find you the perfect franna crane hire for your next lift and shift job. If you’re after expert advice and the best-value mobile crane hire service for your next job, reach out to Teece Crane Hire today. Teece Crane Hire is located in Park Ridge and we can mobilise our fleet of mobile crane for hire within a 200 kilometre radius. We can take on any lift and shift jobs around Brisbane, Logan, Waterford, Gold Coast, Sunshine Coast, Ipswich, Toowoomba, the Western Downs region and anywhere in between. Our experienced team of crane operators regularly carry out crane services including factory lifts, steel lifts, car lifts, lift a sign, civil works and more. Why rent a pick and carry crane? Franna cranes can lift and shift heavy items with impressive manoeuvrability and strength. These mobile cranes are invaluable in many construction, earthmoving and civil works projects. Our fleet is made up of non-slewing mobile cranes which are perfect for jobs where loads need to be lifted and moved backwards or forwards. If you need to rent a non-slewing mobile crane for heavy lifting such as a car lift, steel lift, factory lift, lifting a water tank, lift building materials, lifting a shed, a granny flat lift, agricultural lifts, pipework lifting or simply to lift a sign - our fleet of modern Terex cranes for hire along with our experienced team can fit the bill. 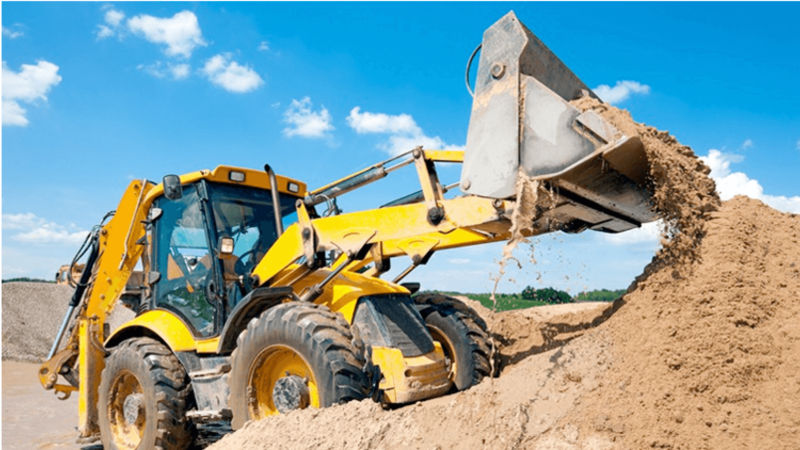 Need to complete a job that requires the lift and shift of heavy equipment or materials? 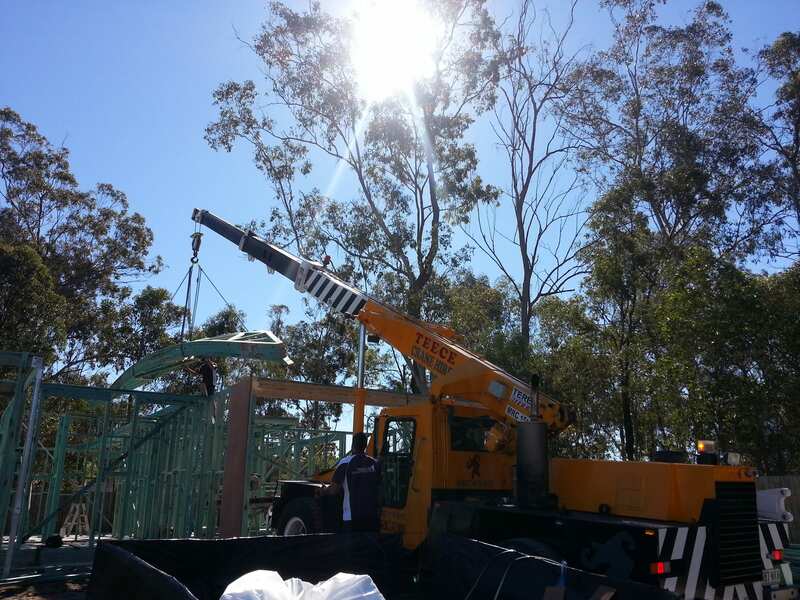 Our modern fleet of franna cranes for hire can assist with the task.